Superdry men's Core Sport graphic t-shirt. Update your sportswear basics this season with the Core Sport graphic t-shirt, designed with four-way stretch and moisture wicking technology to allow ease of movement and to keep you cool and dry as you build up a sweat. 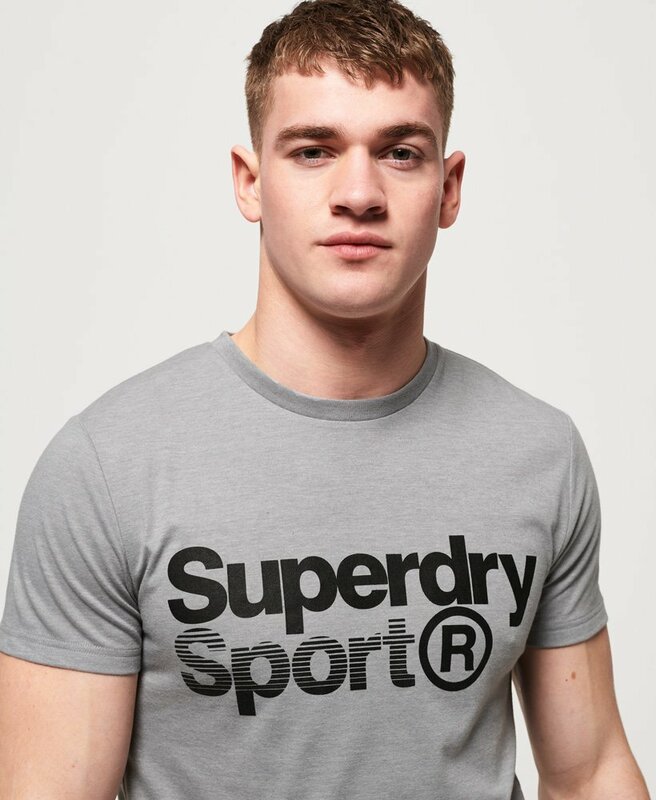 This t-shirt features short sleeves, a crew neck and is finished with a textured Superdry logo across the chest.